Winnipeg launch of Women Talking (Knopf Canada) featuring a conversation hosted by Christine Fellows. Co-presented by the Winnipeg International Writers Festival as part of our collaborative Fall Literary Series. 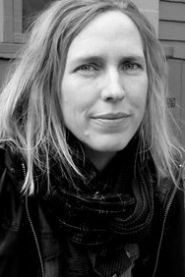 Miriam Toews’ most recent novel, the bestselling All My Puny Sorrows, was published in 2014 to wide acclaim. It won the Rogers Writers’ Trust Fiction Prize and the Canadian Authors Association Award for Fiction, and was shortlisted for the Scotiabank Giller Prize, the Folio Prize and the Wellcome Book Prize, among other accolades. It also appeared on many year-end best-book lists, nationally and internationally. Toews is the author of five other bestselling novels: Summer of My Amazing Luck, A Boy of Good Breeding, A Complicated Kindness (winner of the Governor General’s Literary Award for Fiction, winner of Canada Reads, and a finalist for the Scotiabank Giller Prize), The Flying Troutmans and Irma Voth, and one work of non-fiction, Swing Low: A Life. In addition to the awards mentioned above, she has also won the Libris Award for Fiction Book of the Year, the Writers’ Trust Marian Engel/Timothy Findley Award, and Italy’s Sinbad Award for Fiction. Miriam Toews lives in Toronto. Christine Fellows is a singer-songwriter from Winnipeg. Her seventh studio album, Roses on the Vine, comes out in November.